There are two gangs fighting against each other in Oakland, California. And the son (Jet Li) of the chinese Godfather falls in love with Trish (Aaliyah), who is the daughter of the black gang's boss. Po Sing (Jon Kit Lee), son of the chinese Godfather (Chang Tseng) is found hung up on a lantern one morning. Immediately everyone thinks that a member of the black gang must be his murderer. But they of course don't agree. 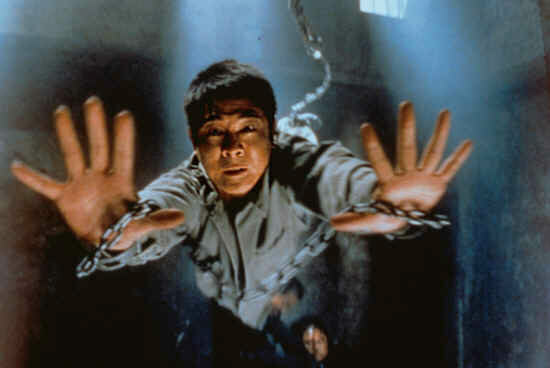 Han Sing (Jet Li), the brother of Po, is told the story of his brother's death while he's in prison instead of his father, who killed a man years ago in China. He had promised his mother to look after Po when she died in his arms. So he can't sit there in prison and leave things as they are. He escapes, travels to USA and looks for the murderer himself. While breaking into a taxi he meets Trish (Aaliyah). She looks like a nice girl - and wants to be a nice girl, too. But there is her father Isaak (Delroy Lindo) with his illegal work... A few days later Trish's brother is killed, too. So Trish and Han work together to shed light on all these intrigues. In this Movie there is more than good Martial-Arts-Action. You also will like the awesome Music and Style of Aaliyah (r.i.p.) and DMX. A lot of action, nice battle scences man against man, presented by Andrzej Bartkowiak, well known cameraman of "Leathal Weapon" and "Speed", in his director's debut. And just the use of optical effects sometimes makes the film really fascinating. 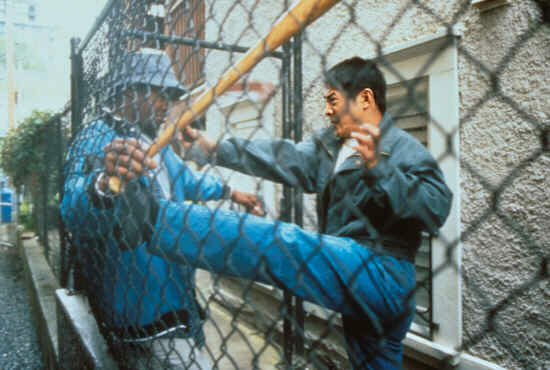 Although the idea and the story itself aren't new, as the battle scenes with Jet Li aren't, either, the combination of the Chinese way of thinking and sport with the Romeo-and-Julia plot is well done. Aaliyah, known from R&B, has her first role in a movie. And she performs a song for the soundtrack of "Romeo must die". At the end of the movie everybody seems to have left for the party already in his mind... There are lots of little and not so little mistakes (like Han's unburned hand). All in all "Romeo must die" is a nice movie. Not perfect, but of course with a great soundtrack! Can you do that? Hanging up from the ceiling Han Sing is running over the entire prison guard!